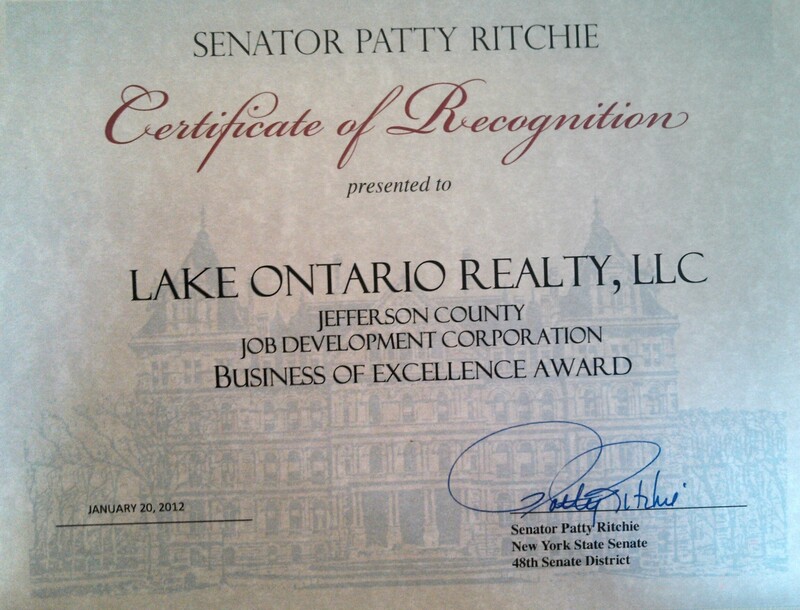 Lake Ontario Realty LLC Lake Ontario Realty LLC-Serving ALL of Northern NY! 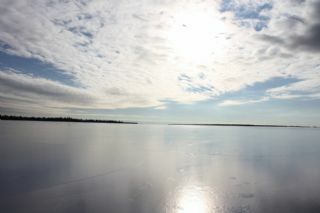 All things usefull in Northern NY Real Estate featuring Fort Drum, Lake Ontario and the 1000 Islands region! Yes indeed winter is here! But don't let that stop you from checking out some great buys this winter! 2015 is going to be a hotter year for sellers which means not so great for people still trying to get that bargain. Many sellers are much more flexible in the winter so get out there while things are still at "winter prices" !!!! Call us today! shortsales are few and far between but they are around! Here is a great example of a local short sale here in the Jefferson county area! This Chaumont riverfront ranch is 2000 SF plus a 2000SF walk out basement, 3 bedrooms, 2 baths, 2 acres with direct access to Lake Ontario and Chaumont Bay! Call quick before this one is gone! What to ask your Home Inspector! Amanda Miller receives the "20 Under 40"award for Jefferson County! 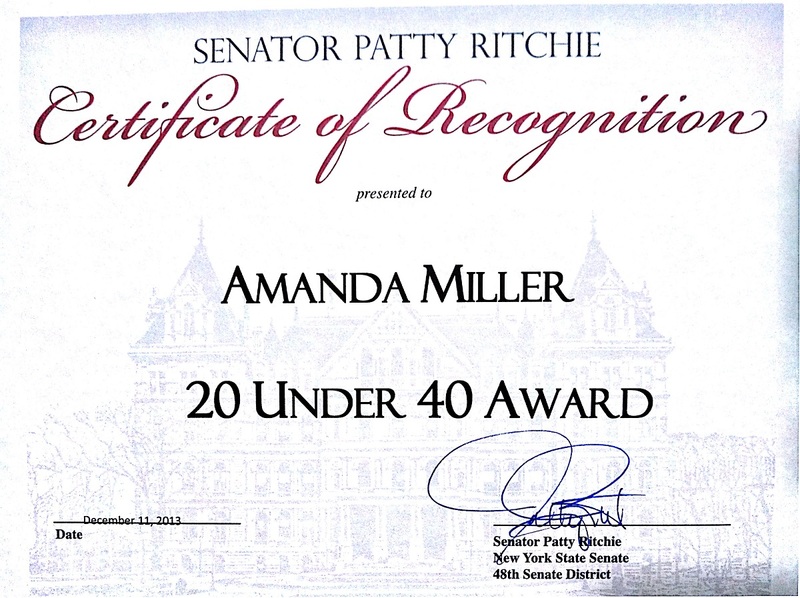 Amanda Miller, Broker/Owner of Lake Ontario Realty LLC in Chaumont, received the "20 under 40" award for the tri-county area in December of 2013! Her commitment to excellence is evident in their business practices and how she and the team at LOR do a tremendous job in real estate ALL OVER Northern NY. They serve all the communities surrounding Fort Drum, Watertown NY, 1000 Islands, Lake Ontario, Sackets Harbor, Clayton, Alex Bay, Copenhagen, Adams, Carthage, Black River, Henderson Harbor and beyond!! Amanda J Miller, Licensed RE Broker and Owner has earned the prestigious, "Military Relocation Professional" designation! We are constantly committed to helping our Military buy, sell and relocate to our wonderful Fort Drum area! I am proud to say that we received the 2012 "Business with Excellence" award! This goes to show our constant dedication to our business and our community. We are proud to be a local women owned independent company that supports our are and other business's as well! VERY IMPORTANT FEMA FLOOD INFO & UPDATES FOR SELLERS & BUYERS!!! We hope everyone had a wonderful holiday season and that you made it through the ice storm! LOL Happy new Year, may 2014 be the best yet! Should you market your home during the holidays? Read all of Should you market your home during the holidays? Correct way to price a listing!